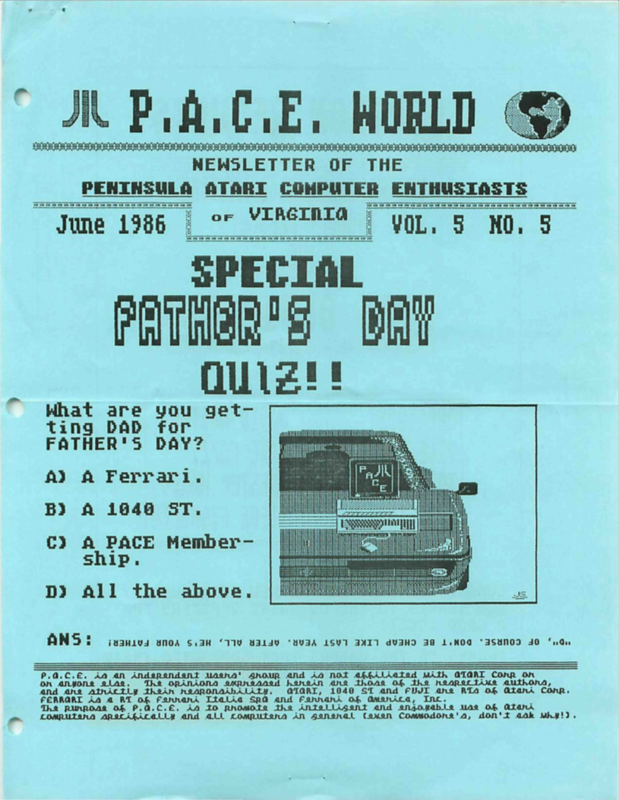 This entry was posted in Atari, Down Memory Lane and tagged computer club, Hampton, meeting, Newport News, user group, Virginia, York County. Bookmark the permalink. I’ll have to read through those. They will be an interesting snapshot in time. I’m glad that someone has thought to preserve newsletters like these too. I’ve read through some of the commercial Atari ST magazines that have been archived too. Still interesting even though computing has moved on since then. I still don’t really understand the animosity between the Amiga and Atari users. It is still going on (at least a little bit) in the retro computing groups on Facebook. Maybe it was my willingness to use just about any computer I came in contact with that made the difference. I would have thought be now that most everyone would see the similarities more than the differences in the platforms. I’d bet Internet Archive would love to have Mr. Hendrix’s scans!